If you want to build a house or have your house renovated, one of the things that you have to decide on is what type of flooring to use. You have to select carefully which would best be suitable to your necessities and the purpose of the room where you will use the flooring. There are lot of types of floorings and there will always be a positive and a negative side to them. One of the pros about carpet is that it is soft, quiet and warm underfoot. It is also the easiest and most cost-effective floor covering to replace and upgrade. It brings in color and texture, and there are stain-resistant fibers available. One of the cons about installing carpet is that it can stain at times. A lower quality carpet may quickly show wear. The cost of carpet can vary. Home owners can typically purchase carpet from $1.50 to $5.00 per square foot. Stone flooring is extremely durable. It is a timeless and classic design. It’s also beautiful and is a natural aesthetic. While beautiful, the cost may be higher than many flooring options. 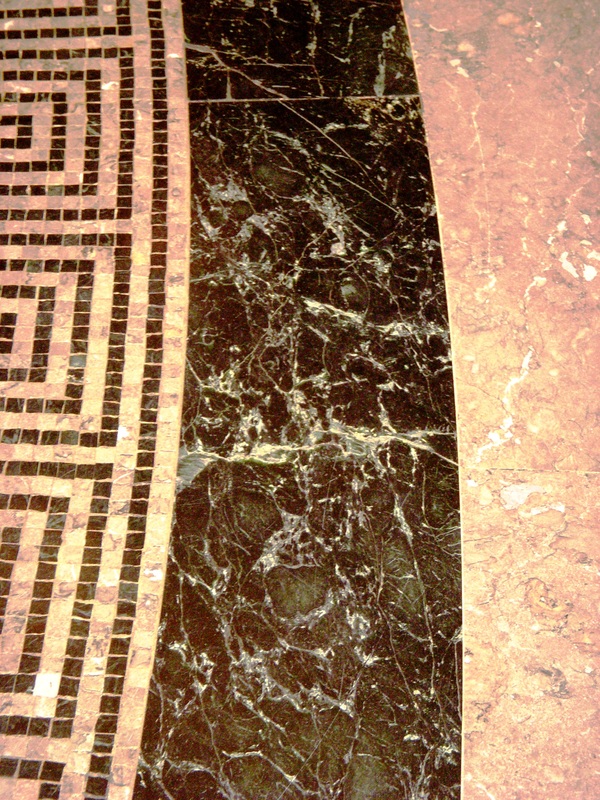 Marble and limestone readily absorb stains and dirt. They are also difficult to repair. Stone may be slippery and may show footprints for dark glossy surfaces. All stones should be sealed. 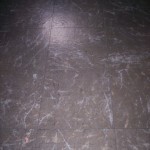 Stone flooring can range from around $3.00 to $30.00 or more per square foot. Ceramic and porcelain tiles are not only durable, but water and stain resistant. There is a wide choice of colors, textures, and shapes. A downside to this type of flooring is that grout lines can be hard to clean. Low quality tiles may chip as well. Also, if a fragile item is dropped on the surface, the item may break. 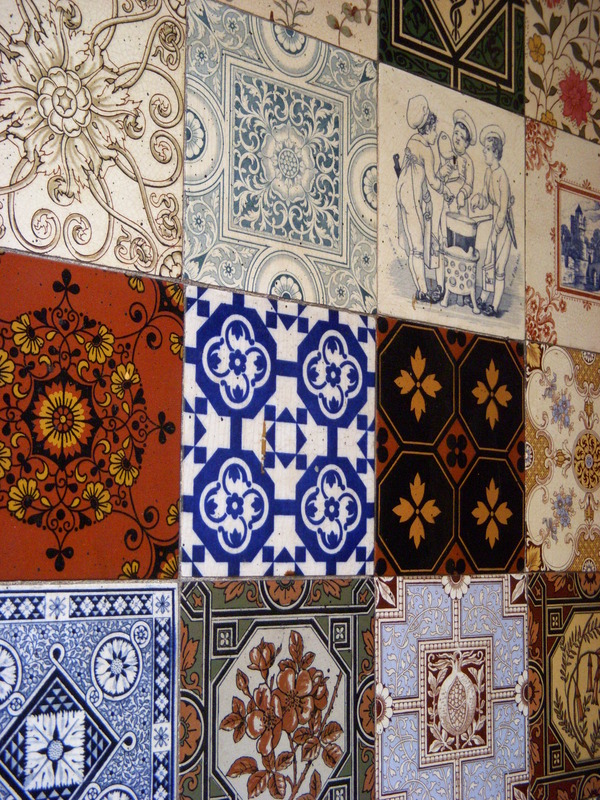 Glossy tiles can be slippery when wet and difficult to repair. There are a variety of price ranges available for this specific type of tile flooring. Prices can start as low as $1.00 per square foot. Laminate flooring is affordable, durable, easy to clean and maintain. It resists stains and offers a wide range of colors and designs. It resembles natural materials. They also have an excellent choice for do-it-yourself applications. 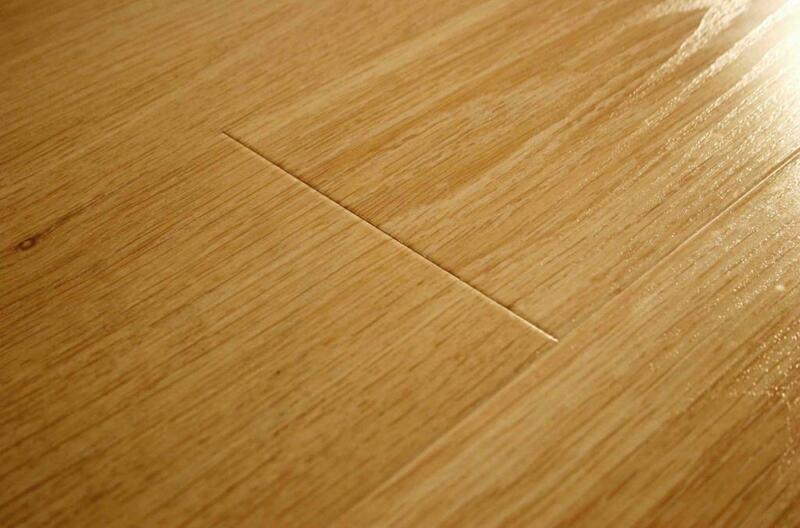 One the downside, laminate flooring can be scratched and cannot be refinished. You have to be cautious when purchasing off brands; the top layer may peel or separate from the core. For high-moisture rooms, select laminates for installation, they are designed for this use. Laminate flooring can be purchased for as low as $1.00 per square foot. Hardwood flooring is wear-resistant and long-lasting. It provides a warm and cozy look. It can also be refinished. This type of flooring is vulnerable to moisture. Softer woods may dent easily. It may also darken with age. Some finishes wear unevenly and are difficult to repair. It can shrink and expand, creating gaps or warping. The pricing for hardwood flooring varies, but can start around $6.00 per square foot. If this does not fit your budget, consider engineered hardwood. With a similar look and features, pricing can start as low as $4.00 per square foot. 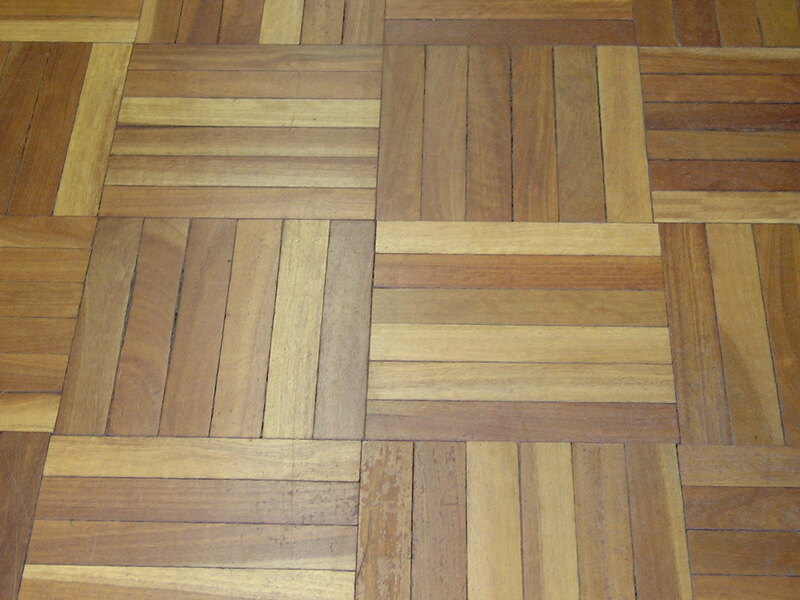 Bamboo is another great alternative, starting at approximately $4.00 per square foot. Vinyl is durable and easy to clean. It is less expensive than most flooring choices. While more cost effective, it is difficult to repair and less expensive grades may discolor. If it is in tile form, moisture can get into seams between tiles. 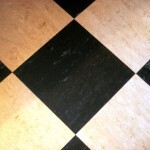 You can purchase vinyl flooring starting around $1.00 per square foot. Linoleum is made of natural raw materials and is more durable than vinyl. The color extends through the entire material and can be hand-cut for elaborate decorations and fixing artistry. Linoleum should be resealed annually and cannot be left wet. Also it may scuff if it is not well polished. Pricing starts at approximately $2.00 per square foot. Cork is soft, warm and natural. It resists mildew and has a sleek, contemporary look. It is stain and water resistant and is easy to clean. Polyurethane surfaces usually last up to seven years before refinishing is necessary. If a cork floor is a UV-cured acrylic, finishes are not as long-lasting while wax finishes need reapplication every 6-12 months. 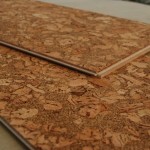 You can purchase cork flooring starting around $4.00 per square foot. Weigh the pros and cons carefully before you decide on the flooring that you want. Hope this aids you in choosing the perfect one for your home.